Should the Army Corps take sand from Big Pass to replenish shrinking Lido Key? Environmental reporter Tom Bayles wades into the sound and fury. Slip on a pair of swim goggles, duck underwater at Big Pass, and you’ll see what appears to be a barren planet with a bleached-white surface. At first glance, it looks just like any other sandy bottom along Florida’s coasts, but the sand on this seafloor is one of nature’s rarest creations and a geological marvel. It’s the same sand that blankets nearby Siesta Public Beach and is beloved by beachgoers, the same sand that has brought international recognition and millions of dollars to Sarasota County. Immense quantities of it lie at the bottom of Big Pass, comprising a hidden treasure of immeasurable value, one that sparks passion and determination in those who wish to possess it. That glittery white powder has touched off a fierce fight, pitting key versus key, city versus county, resident against resident, the federal government against dissenting citizens; and it may soon enlist lawyers as well. The combatants are armed with geological surveys, scientific studies, financial reports, propaganda and furious conviction. In the simplest terms, their struggle is about where that precious sand will go. But to know where it might go, one must understand how it got here. It begins some 480 million years ago, in what is now the eastern United States. Two massive tectonic plates collide, thrusting billion-year-old rock formations upward, creating the Appalachian Mountains. For eons afterward, volcanoes erupting molten rock continue to build the mountains higher. Wind, rain and time beat upon the peaks, a relentless erosion that continues to this day. Then as now, chunks of quartz, feldspar, mica and other minerals break off, carried away by creeks, streams and gullies. They make their way to wider waterways, from the Cumberland to the Tennessee to the Ohio rivers, and eventually to the mighty Mississippi, flowing past New Orleans and tumbling into the Gulf of Mexico. From there, the rocks, now beaten into tiny fragments and carried along by ocean currents, become part of the north-south flow of sand along Florida’s west coast. Having traveled a brutal journey that many substances cannot survive, the sand arrives rich in quartz—chemically stable and harder than most minerals—and lazily rides the tide southward, mixing along the way with bits of crushed shell, coral dollops, pebbles, bone fragments of marine creatures, limestone chips and other nearshore detritus. Waves, foraging sea life and chemical variations in the water further break down the mix, pulverizing it to sediment and near-nothingness. In a never-ending process of accretion and depletion, the sand is carried south, landing on beaches along the way before washing back into the Gulf—days, months, decades or centuries later. Sometimes the sand at the mouth of Tampa Bay lands on Egmont Key, or on a sandy shoal off the northern tip of Anna Maria Island. From there, it might be picked up by tides or ripped away by a storm, only to re-emerge as part of the beach on Longboat Key. What sand the currents scoop up there may in turn land on Lido Key’s shores, and then migrate to Big Pass, a mile-wide stretch of water separating Lido from Siesta Key, where it sinks to the bottom and becomes part of the massive shoal that’s been building under the blue-green waters for nearly a century. Almost as wide and long as the pass itself, the shoal contains an estimated 23 million cubic yards of quartz-heavy, blindingly white sand, considered some of the finest anywhere—the kind that sand-starved beach towns all over the country would pay fortunes for, if they could get it. Siesta Beach pays nothing for it, because not all the sand that travels south ends up under Big Pass. Some of it rides the tides for another half-mile or so until it is trapped by the 2-mile-long concave semicircle of shore that lies between the northwestern tip of Siesta Key and the limestone outcropping at Point of Rocks. By that point, the sand has an unearthly silkiness and is almost 100 percent pure quartz. Siesta Beach is one of the few all-quartz beaches in the world, and its composition is the result of several factors. The gentle waves lapping onto the beach can carry ashore only the finest, lightest fragments of sand—those quartz crystals from the rocks that were thrust from beneath the Appalachian Mountains. And once the sand arrives, it tends to stay, and not only because of the crescent shape of the beach. Because smaller grains absorb less water, when the waves wash back into the Gulf, they pull in the heavier, water-laden materials, leaving the powdery quartz sand behind. The process grows the beach seaward and keeps it flat. Even when big storm waves roll onto the beach and haul the smaller quartz crystals away, most are slowly washed back in again. Its millions of quartz crystals have made Siesta Beach—and Sarasota—famous. 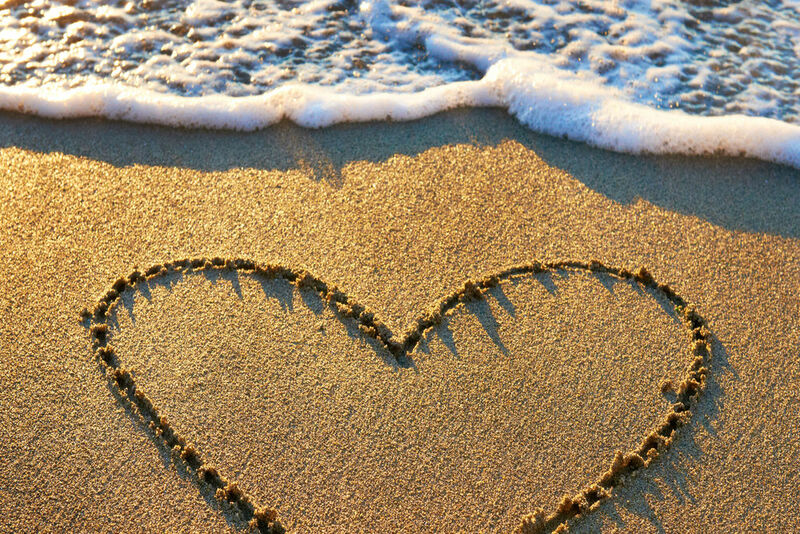 The beach has won many accolades, including being named the nation’s No. 1 beach. 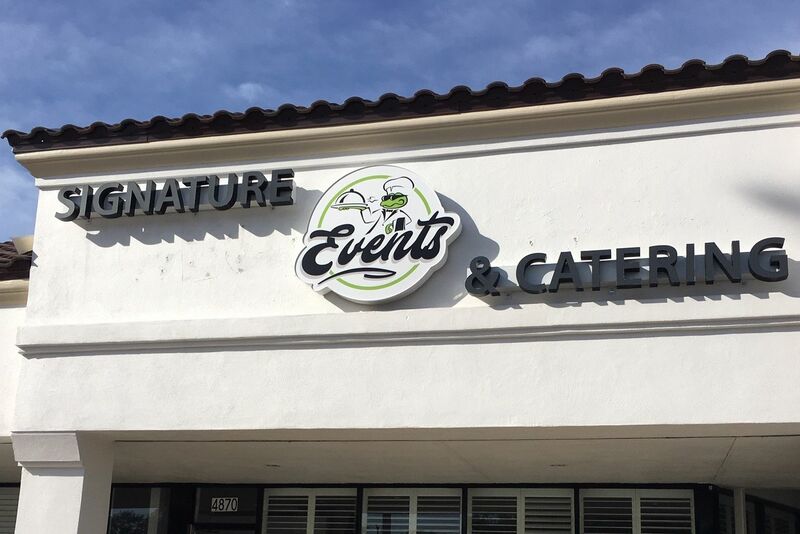 It attracts visitors from all over the world and has persuaded many to call Sarasota home. It’s also legendary among New Age mystics, who believe the quartz holds healing and spiritual powers. Whether or not that’s true, it’s undeniable that Siesta’s sand has been the foundation of much of the region’s growth and prosperity. Left alone, the sand at the bottom of Big Pass would likely continue to accumulate and the tides would continue to wash quartz crystals onto Siesta Beach, ending their journey. But if a proposed Army Corps of Engineers project happens, the sand will set off on another journey, one guided by man. 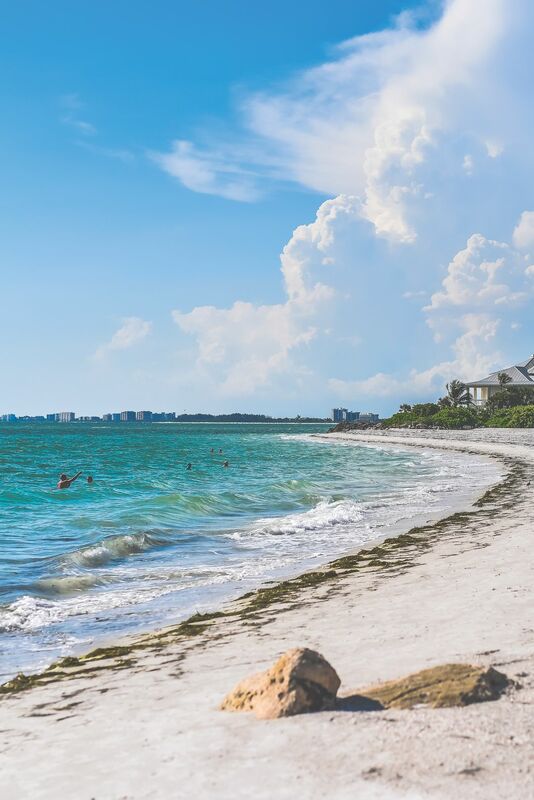 In a City of Sarasota project almost 20 years in the planning and expected to begin within the next year or two, the Army Corps plans to rebuild 1.56 miles of Lido Key’s shoreline, from the southern tip of the key to the northern end of the public beach. All barrier islands are subject to erosion, but Lido, a manmade creation from the 1920s, is especially vulnerable. Its beaches have been replenished, mainly with small amounts of sand that are a byproduct of routine dredging of the New Pass channel, at least 16 times since 1964, and they’re eroding again. On some days, only a few yards of wet sand separate million-dollar homes and condominiums from the Gulf, and water occasionally laps at some back doors. In 1997, the city decided Lido needed a much larger, long-term plan, and they asked the Army Corps to undertake the project. Like many Army Corps projects, the Lido renourishment proposal has moved at a glacial pace through the federal bureaucracy. The Army Corps had to perform numerous government-mandated studies, from gathering baseline data about the affected natural systems and assessing ecological impacts to testing how long Lido’s new sand will stay in place. But the biggest obstacle was funding. Congress didn’t vote to allocate money for the project until 2007. The federal government pledged to cover 62 percent of the estimated $20 million cost of the project; the remainder would come from state and local tourist taxes. 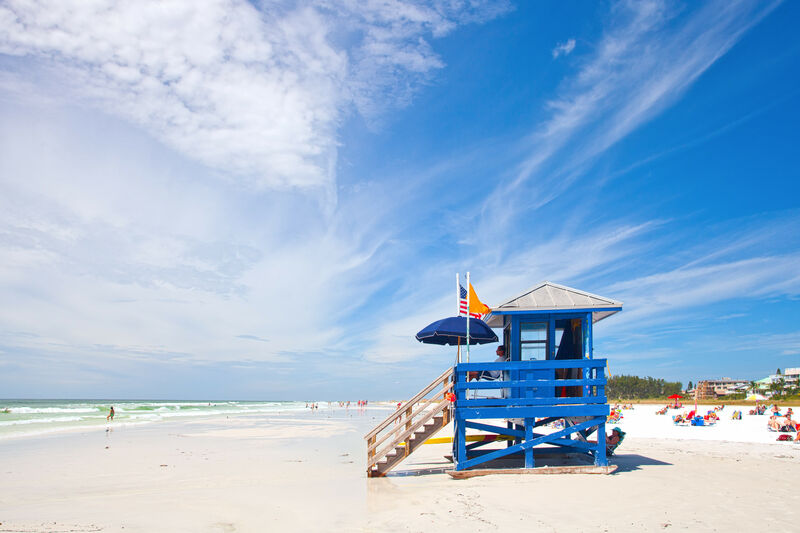 By 2013, the Army Corps had finalized its plan, and in December of that year, it began holding public meetings on Lido and Siesta Key, announcing their intention to move 1.2 million cubic yards of sand—about 6 percent of the shoal’s total—from Big Pass to Lido. They said that the only other sources of sand compatible with Sarasota beaches lay far offshore and would be prohibitively expensive to transport. The new beach would extend out more than 80 feet in places and would include three groins (a number later reduced to two). And, the Army Corps declared, its research had determined the work would have no effect on Siesta Key’s beaches. The outcry was immediate. Opponents argued that the Big Pass shoal protects homes along North Siesta from erosion and storms; it also helps guide that famous quartz sand home to Siesta Beach. Removing sand—even the small amount proposed by the Army Corps—might push the southern-moving stream farther offshore so it would bypass Siesta, they said. They were especially concerned about the Army Corps’ proposal to harvest sand from the northern end of the shoal, creating a gap that could take years to refill—if it refills at all. Such a change in the shape of the shoal, they feared, could have unintended consequences. Opponents also worried about the groins that are planned for South Lido. Not only will they trap and hold sand on Lido, as they are designed to do, they argued, but they could create currents that push sand so far seaward that it escapes Big Pass and Siesta Beach altogether. If that happens, they said, the shoal might never rebuild and Siesta Beach might lose its precious flow of incoming sand. The Siesta Key Association voted to oppose the plan in January 2014, and a group called Save Our Siesta Sand organized in March of that year. 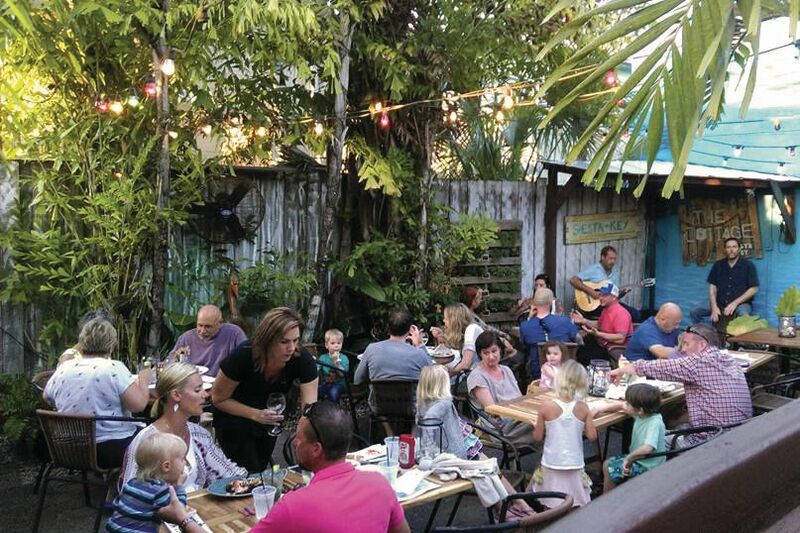 The Siesta Key Chamber of Commerce, the Siesta Key Village Association, the Siesta Key Condominium Council, the Bay Island Association and the Boater’s Coalition also decried the plan. Rob Patten, former director of environmental management for Sarasota County and owner of Coastal Dunes, Inc., which specializes in shoreline projects, is a volunteer adviser to Save Our Siesta Sand. He says that in addition to affecting Siesta, the project could threaten the southern tip of Lido and popular Ted Sperling Park. The 180-foot-long groins will be buried under sand during the renourishment, but a series of storms—or maybe just one large one—could wash off the sand and expose the groins, he says. “The minute that happens and they start interacting with waves, you’ll see erosion of Ted Sperling Park to the south,” he says. “Fly over Florida’s beaches, which I’ve done many times, and you’ll see that any time there are exposed groins, there’s downdrift erosion.” And although the Army Corps says it plans to replace sand if the groins become exposed, Patten says there’s no guarantee they would do that in time to prevent damage to the park. Army Corps projects often don’t live up to their promises or timetables, he says, and many have been environmentally dubious, from draining the Everglades to failed beach renourishments. 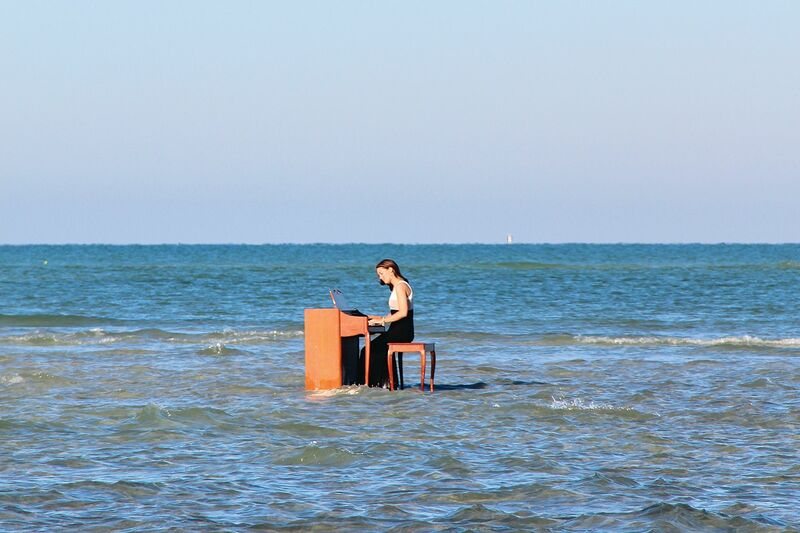 In April 2014, Save Our Siesta Sand posted a music video on Facebook that featured a woman playing an organ that they’d transported to the sandbar on Big Pass and singing “Let it Be” while images of the surrounding aquamarine water alternated with warnings about the project. The video got thousands of views on social media. Last summer, the group held a “Party on the Pass” for those against the Army Corps’ plan; more than 2,000 attended, most coming by boats, kayaks and paddleboards. They gathered on the sandbar and in the adjacent shallows, picnicking, dancing to live music and defiantly voicing their opposition to dredging the Pass. The debate has only intensified in the months since. And while citizens, engineers, politicians and consultants weigh in, residents and business owners on Lido are watching in dismay. The project is funded and the perfect sand is within sight. But not a single grain of it has been brought to Lido’s beaches, even as waves continue to eat away at the shore. Perhaps Lido Key is so prone to erosion because nature is trying to get rid of it. Some 4,500 barrier islands ring the coast of Florida. They are glorified sand bars, lumpy piles of sand that take the punch out of most waves and protect critical habitats—including wetlands, bays and creeks that serve as fish nurseries—between them and the mainland. Responding to the force of waves and storms, the islands constantly shift in shape and location, moving closer to the mainland or farther out to sea, merging with other islands, growing larger or smaller, and sometimes disappearing altogether. Most scientists shake their heads at the folly of building on such unstable land, which requires constructing seawalls and revetments and perpetual replenishing. Especially with sea levels rising, some even advocate a total retreat from barrier islands—a wise idea, perhaps, but one that’s wildly unrealistic in Florida, where millions of people clamor to live on those islands, fueling tourism, real estate sales and growth. Circus baron John Ringling, who took up real estate development after he moved the circus’ winter quarters here in 1927, was the driving force behind Lido Key, creating it out of the Cerol Islands, a clumpy mass of mangroves strung across the three-mile-wide mouth of Big Pass, which at that time opened to the Gulf of Mexico from the north end of Siesta Key (then called Sarasota Key) to the southern tip of Longboat Key. Ringling dredged up enough bay bottom to create the new Lido Key and also dredged up most of the largest sea grass bed in the bay to create Bird Key. Much of the new Lido Key was drying bay bottom, a decidedly unglamorous—and unstable—base for the lush tropical landscaping, million-dollar architectural statements and posh shops, hotels and restaurants that would come to cover it. The new island was just over 2.5 miles long, reducing the size of Sarasota Bay’s openings to the Gulf by about half a mile in all by creating New Pass to the north and Big Pass to the south. Soon, westerly winds and tides piled sand onto the beaches of the 2.5-mile-long island; but Lido gives back more than it takes, and by the 1950s, sand from nearby beaches was regularly dredged to replenish Lido’s beaches. Before it can begin moving sand, the Army Corps has one more step to complete: receiving a permit from the Florida Department of Environmental Protection (FDEP). The Army Corps applied for the permit last spring, and once they win approval—a process that can take several years—they can begin the work, which could take from six to nine months to complete. Opponents of the project can file objections with the FDEP, however, hoping to block approval. Lido Key is part of the City of Sarasota, which initiated the project; Sarasota County has no say over the project, so long as it doesn’t impact county land. (The sand at the bottom of Big Pass belongs to neither city nor county but is the property of the State of Florida.) But the county, which does own Ted Sperling Park on South Lido and includes Siesta Key, is keenly interested in the project; it spent $50,000 last June to commission an independent coastal engineering firm, Atkins North America, to assess the Army Corps’ plan. Amidst all the “fear and innuendo,” says Lair Wreford, Sarasota County’s coastal resource manager, the county wanted “a second dispassionate opinion.” And when Atkins presented its report in March of this year, he says, “It did not rubber-stamp the Army Corps’ plan.” Instead, the firm cited a number of “questions and uncertainties” with the plan, which they said did not have enough current data and modeling to prove that Siesta Key Beach wouldn’t be affected. While opponents of the dredging applauded those findings, some, including Sarasota’s city engineer, Alex DavisShaw, criticized Atkins for a lack of due diligence. During a three-hour meeting on March 23, county commissioners expressed frustration with all the uncertainties surrounding the Army Corps’ plan, while acknowledging the urgency of helping Lido. She and Mora, the Army Corps project manager, are now working on that plan. But Mora has faith in the original proposal. “We did it ourselves, had it peer reviewed, and we stand by that,” he says. DavisShaw agrees. “All the science and research show this is going to work well,” she says. Van Roekens says his organization intends to file objections with the FDEP. But unless they present clear-cut scientific evidence that taking sand from Big Pass will cause harm, those objections aren’t likely to carry much weight with the FDEP. And since it’s impossible to say with certainty that dredging the pass will cause long-term harm, Van Roekens concedes that it’s likely the permit will be issued. In Palm Beach County in 2009, Collins successfully represented a coalition that objected to Palm Beach’s plans to rebuild sections of its beach. She argued that the project was harming essential sea-bottom habitats by burying them under layers of sand and also spoiling waterfront recreational opportunities. She won the case, and the town was denied permitting to continue the project. There’s no guarantee that filing a suit will stop the project. For example, when an environmental group, Defend H2O, recently sued over a proposed Army Corps project aimed at stopping erosion along Montauk’s beach on Long Island, the court refused to issue an injunction to halt work. “Any order delaying the project for even a short time would put the shorelines in danger and expose Montauk’s population to unnecessary risk,” the court declared. Proponents of the Lido Key project remain convinced that they will prevail and by late 2017 or early 2018, barges will start sucking sand out of the shoal in Big Pass and pumping it onto Lido Beach. 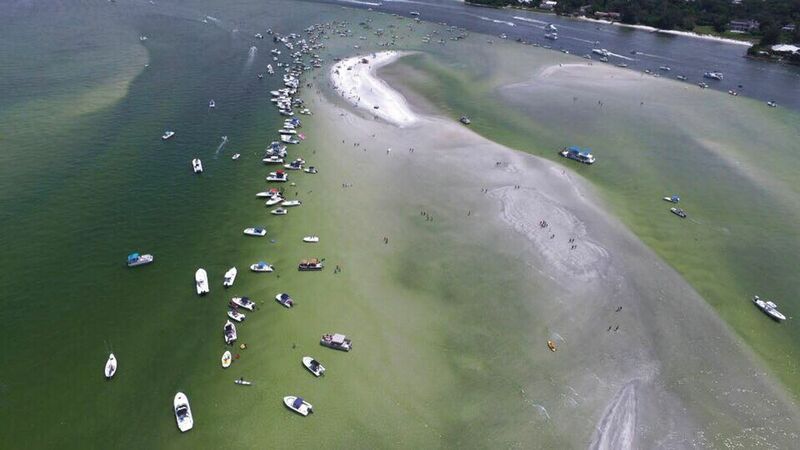 We may not know yet how that might affect the Big Pass channel and Siesta Beach, but we do know one thing. The minute the pumping stops, the same forces that pilfered the previous 1.3 million cubic yards of sand from South Lido will get back to work. Storms will come and take the new sand, too. No Army Corps’ mathematical model claims otherwise, groins be damned. He also knows that when time claims that new beach, Lido will get another one. And another. And another. When Congress approves a beach-building project, it typically comes with a 50-year guarantee. The Army Corps predicts nine more refills will be needed during that time—and it’s an easy guess where they’ll go to get the sand. Sarasota’s Tom Bayles, a former reporter for the Herald-Tribune, was awarded the Gold Medal for Public Service by the Florida Society of Newspaper Editors for a series about beach restoration in Florida. 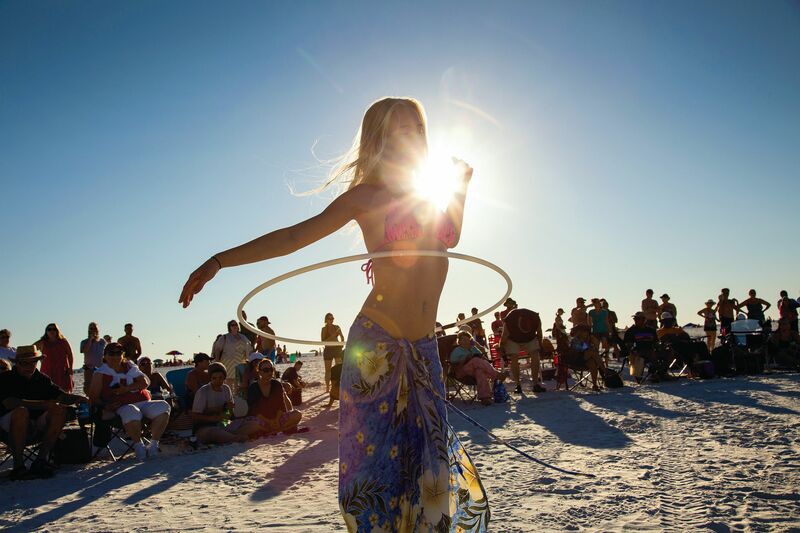 Follow sun and fun with a sublime little something in Siesta Village. Just days before the show premiered, social media sleuths connected star Alex Kompothecras to a viral video that showed four young men, two from prominent Manatee County families, gleefully dragging a shark behind their boat at high speed until it died. 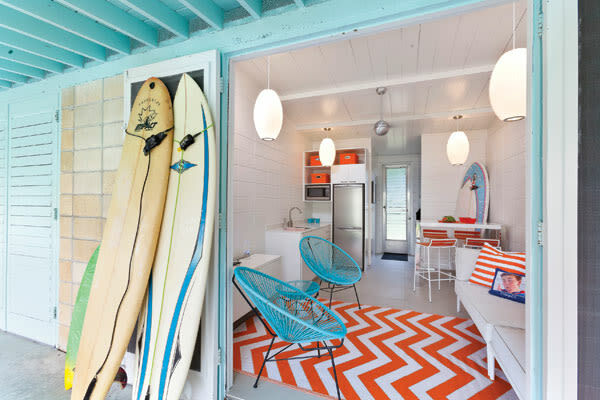 The cabanas are a piece of Sarasota architectural history. We spend a day at the No. 1 beach in the country. Go to the Beach or Practice Yoga? Why Not Do Both? Ava Csiszar's yoga class on Siesta Beach offers sun, sand and stretching. The longtime annual wedding vow renewal event, sponsored by Sarasota County parks and rec, takes place around Valentine’s Day. 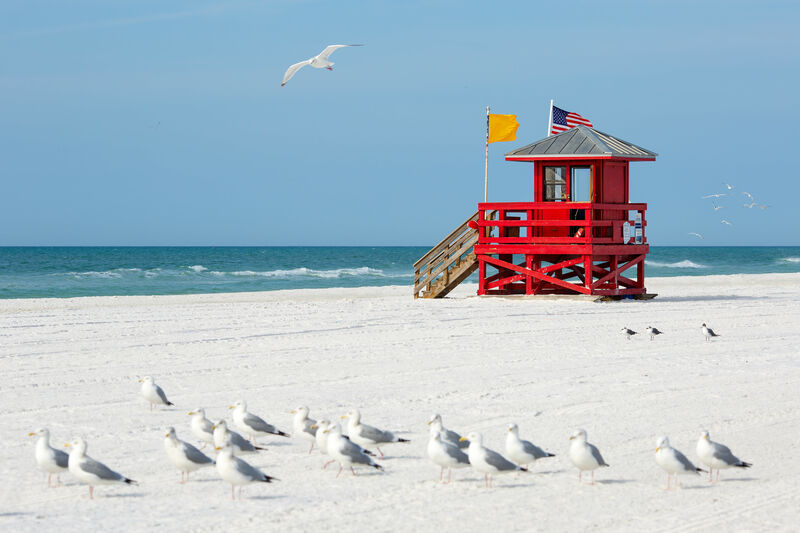 Siesta Beach tops the annual list of the nation’s top 10 beaches. 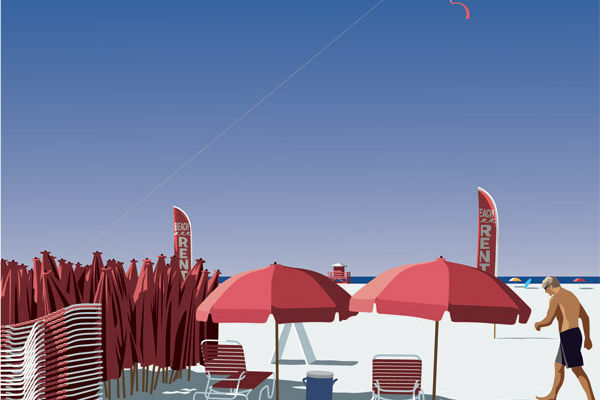 John Pirman illustrates Siesta Key Beach on a beautiful morning.